Thanks to the people at Shelf Awareness for including last week’s post about important objects in children’s book in their feature, Book Candy, last week. It was fun to be a part of my favorite weekly e-newsletter. If you don’t know Shelf Awareness, here’s the link, but beware of its addictive qualities! Reading it results in adding many more books to my “to read” list. 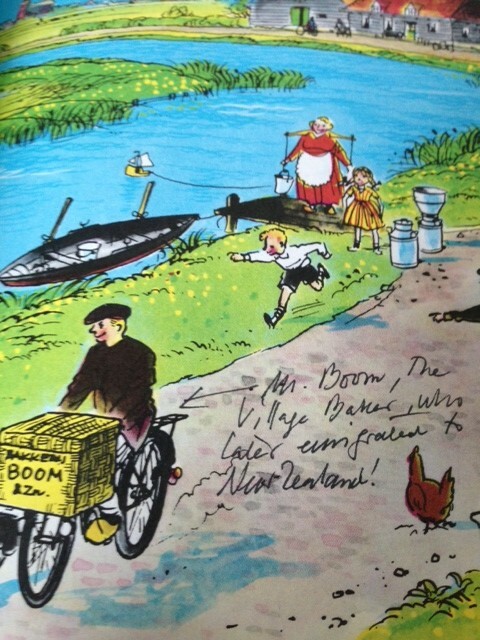 The Cow Who Fell in the Canal was the first book illustrated by the amazing Peter Spier, the Dutch-born illustrator and writer of more than thirty children’s books. 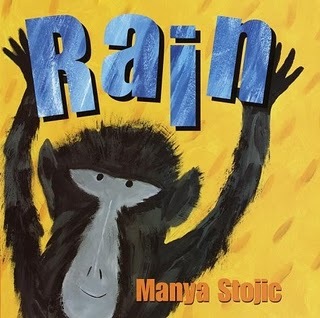 His 1977 book, Noah’s Ark, won the Caldecott Medal. I’ve always been a fan of Spier’s detailed pen and ink drawings. His books are perfect for kids who enjoy finding things that may not be evident at first – funny little details that reward close looking. The Cow Who Fell in the Canal by Phyllis Krasilovsky was published in 1957, only seven years after he and his family emigrated to the United States. It’s the story of Hendrika, a cow who wants to see what life is like beyond the confines of her farm. Pieter, the horse who delivers Hendrika’s milk to the city, tells her all about it, but she wants to see it herself. “She was tired of looking at Mr. Hofstra’s house, the barn, and the windmill,” A universal story! As the title conveys, a fall into the canal provides a trip to the city where Hendrika “looked into windows and pranced into yards.” Of course, like most travelers, she returns transformed by her memories but content to be at home. Bookshelves are full of treasures, but this is a good one. 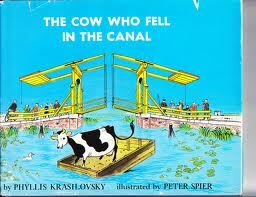 The Cow Who Fell in the Canal will not be placed back on the forgotten shelf! In fact, I’m curious about it now. 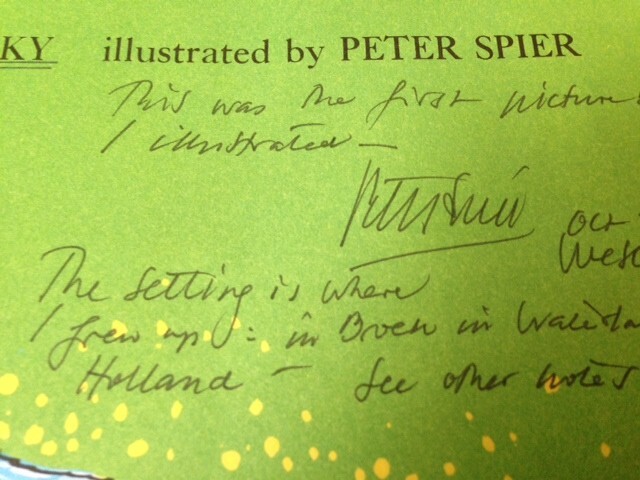 For whom did Spier write these notations? And, more importantly, why did they sell it? Peter Spier’s book seems to be out of print, but it’s worth seeking out at your library. Without one word, it creates anticipation, delight, and warmth. This is my very subjective Christmas-centric list of favorite holiday books. They are not based on critical reception, popularity, or discussions with other book lovers. I only know that every Christmas, these are the books I can’t wait to pull out of storage. 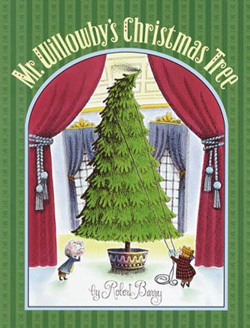 Every year I look forward to seeing the new Christmas books, and while several always catch my eye, none (so far) have replaced this list of favorites. Happy Reading!